Is “Hand D” of Sir Thomas More Shakespeare’s? Thomas Bayes and the Elliott–Valenza Authorship Tests. The early days of computer stylometry were hopeful ones for Oxfordians, keen to show that there was some validity in one of Looney's founding principles, that Oxford's verse contained the germ of Shakespeare's. As computers became cheaper and faster, Eliott and Valenza's tests became more sophisticated and more accurate, What was obvious to most from the outset, then turned into tragedy for the Oxfordian argument. Along with all the other runners and riders, Elliot and Valenza finally eliminated the Earl from the Alternative Shakespeare Stakes. Their opinion on Hand D was, therefore, eagerly awaited by Shakespeare scholars in anticipation of final conformation however, E&V refused to be conclusive. There are 832 words of verse (most of the scene is in prose) written by Hand D this block has the fewest rejections (7) of all the apocryphal texts analysed by E&V using their "new optics" stylometric methods. They say the results indicate too much discrepancy for Shakespeare to have written it earlier than 1600. They do acknowledge the possibility of him have written it after 1600, though they think it unlikely, saying it's a "close call" (their table claims 93% accuracy for a verse sample of that size). Modern scholarship dates the addition to 1603. Professor Jackson looks at E&V critically and evaluates unconsidered factors which could slew the analysis, such as the difference between the poet's own manuscript and the normalised spellings of a typeset work. As with the other strands of evidence, the harder you look, the more it looks like Shakespeare. In this essay, reproduced in its entirety with permission from Early Modern Literary Studies 12.3 (January, 2007) 1.1-36, by Professor Macdonald P. Jackson an expert in Elizabethan attribution, Elliot and Valenza's analysis is placed under the microscope. Professor Jackson concludes that the tests may be more conclusive than imagined and we are happy to agree. Oxfordians will cry "Foul", of course, but this type of scrutiny is a million miles from their doctrinal biographical similarities. And for attribution purposes, it is perfectly valid. In this article we examine new techniques of stylometric analysis, post-dating all of the analysis here, in which very large datasets are used to focus the lens of attribution more closely than has previously been possible. Professors Craig & Kinney look at Hand D again, re-run E&V's test bank on very large datasets, and remove any doubt that it is Shakespeare's work. The chronicle -history play Sir Thomas More has come down to us in the form of a manuscript now in the British Library (Harleian MS 7368). The original script is agreed to be in the hand of Anthony Munday. Whether he was also at least part-author is in dispute. John Jowett offered evidence that he collaborated with Henry Chettle. The date of this first version is uncertain, but “between autumn 1592 and mid-1595” has been widely accepted as probable. But the play was heavily revised. Revisions are in several hands, including Chettle’s, Thomas Dekker’s, and probably Thomas Heywood’s. The three pages of additional material by “Hand D” are thought by most Shakespeareans to be Shakespeare’s autograph. If they are indeed his, their interest and value are enormous. Although a ramshackle structure, Sir Thomas More can still entertain an audience.But the possibility that Shakespeare contributed to it, and that his contribution survives in his own handwriting, is what makes the play special. There have, however, always been skeptics about this attribution. In “Two Tough Nuts to Crack: Did Shakespeare Write the ‘Shakespeare’ Portions of Sir Thomas More and Edward III,” Ward E. Y. Elliott and Robert J. Valenza subject the works indicated in their title to their “silver bullet” methods of testing and calculate probabilities that Shakespeare was the author. For both “dubitanda” the odds are found to be heavily against Shakespeare’s authorship. By now Elliott and Valenza’s impressive body of research is well known to students of attribution. They devised a series of mini-tests in which various stylistic features are counted. Elliot and Valenza determined, for each of these mini-test counts, ranges within which almost all plays undoubtedly and wholly Shakespeare’s fall but within which many non-Shakespeare plays do not. They have shown that all non-Shakespearean, collaborative, and apocryphal plays have far more “rejections” on these tests than any plays undoubtedly Shakespeare’s alone. In order to assess the claims of Hand D-plus of Sir Thomas More to be Shakespeare’s, Elliott and Valenza derived from their core Shakespeare plays a sample of ninety verse blocks of about 750 words each, roughly the size of the verse portion of “Hand D-plus,” which includes “Addition III,” More’s soliloquy, which is actually in the scribal “Hand C.” They discovered that, on blocks of text of this small size, ten of their tests gave “good mass discrimination between Shakespeare and non-Shakespeare.” Only three of their ninety Shakespeare baseline verse blocks had two rejections, and so tested falsely as “non-Shakespearean,” whereas 75 per cent of non-Shakespeare blocks had two or more rejections, and so tested correctly as “non-Shakespearean.” Hand D (the verse without Addition III) and Hand D-plus both had two rejections when regarded as written post-1600, and three or four rejections (depending on whether automatic or manual counts of feminine endings were used) when regarded as written pre-1600. In calculating probabilities Elliott and Valenza used “discrete composite probabilities” and “continuous composite probabilities,” and they applied them to results for all ten tests (or rather nine, since they rightly discarded one) and for a selection of the five that yield “strong disproof” rejections. We can restrict our attention to their data for post-1600 composition, since the evidence for a seventeenth-century date for Shakespeare’s contribution to Sir Thomas More is, in my view, overwhelming. Clearly, if Hand D-plus is Shakespeare’s, Elliott and Valenza’s findings support this belief, since they are more easily reconciled with a post-1600 than a pre-1600 date. For all ten (or nine) tests their discrete composite probability is less than one in twenty that Hand D-plus is Shakespeare’s post-1600 and their continuous composite probability is about one in forty. For the five selected tests it is less than one in twenty on the first way of reckoning (“discrete”) and one in 1,000 on the other (“continuous”). But editors wishing to know whether they should keep including Sir Thomas More in Shakespeare’s Collected Works should not, I think, be guided by any of these probabilities. This is because in cases such as this it is appropriate to invoke the insights of eighteenth-century cleric and mathematician Thomas Bayes. Bayesian analysis of the Elliott-Valenza tests for Hand D and Hand D-plus of Sir Thomas More produces results much more favorable to a Shakespeare ascription. In Inevitable Illusions: How Mistakes of Reason Rule Our Minds (New York: John Wiley, 1994), cognitive scientist Massimo Piattelli-Palmarini exposes some of the errors in the use of statistics that are common in law courts and in the interpretation of medical diagnoses. His purpose is to show how Bayes’s law, “one of the most important discoveries of the human mind,” can “free us from the tunnel of native probabilistic reasoning.” Though even professional statisticians might learn from his book, he writes for “the common reader” who lacks specialist mathematical training. Ward Eliott has read Professor Jackson's analysis and has responded to it in so far as it relates to the stylometric analysis done by The Shakespeare Clinic. He first addresses a study we have not discussed, calling it 'Exhibit A'. This strongly affirms Shakespeare's authorship of Hand D but agrees with Eliott's post-1600 assessment. What he calls 'Exhibits B and C' are both contained in Professor Jackson's article, here reproduced. “Exhibits B and C for Shakespeare are two strong stylometric arguments by MacDonald Jackson, one that Hand D-plus is Shakespeare's, the other that our 2005 evidence to the contrary was overdrawn. The first (2006) powerfully reevaluated older evidence that Hand D-plus shares many unique vocabulary, usage, spelling, and handwriting quirks with Shakespeare and added to it an impressive new review of Literature on Line (LION) showing persuasively that the quirks are found almost nowhere outside of Shakespeare and Hand D-plus and are unique in fact, as well as in name. The second (2007) argued with sophistication that some of the discrepancies we found could be explained away by subject matter, and that Bayesian analysis, which offers a way to counterbalance low probability from one perspective with high probability from another, shows our 3% Shakespeare odds for Hand D-plus to be much too low. In three particulars, we agree with both our mentors - that Sir Thomas More is co-authored, that Hand D-plus was not written in the 1590s, and that the rest of the play is not Shakespeare. In the most important particular, whether any of Sir Thomas More is Shakespeare's, we disagree, but not with the assurance we claim for whole plays and for gross Shakespeare stylometric mismatches, such as the Funeral Elegy by W.S. Those are in different statistical galaxies from Shakespeare; Hand D-plus is in the same city or state, but not in the same ballpark, and ways may yet be found to explain away its discrepancies. Piattelli-Palmarini illustrates how Bayes’s law applies to a case of testing (or “screening”) for a particular illness, where the test is less than a hundred per cent reliable. He bases his discussion on a classic study of the effective diagnostic capability of mammography in detecting a malignant tumour. A table shows the percentages yielded by the test of (a) positive results where the illness is in fact present, (b) negative results where the illness is in fact present (or “false negatives”), (c) positive results where the illness is in fact absent (or “false positives”), and (d) negative results where the illness is in fact absent. Bayes’s formula combines WA and OE as follows, to give the real probability of having the illness given that the test is positive: WA ÷ (WA + OE). Our figures are 0.0079 ÷ (0.0079 + 0.099), or 0.0079 ÷ 0.1069, which works out at 0.0739, or a little over 7 per cent. Despite the positive results on a test described as “79 per cent reliable,” the chances are better than thirteen to one that the patient does not in fact have the disease. The table presents, as percentages, the data (described above) relating to Elliott and Valenza’s trials of ninety Shakespeare play verse blocks and eighty-four non-Shakespeare verse blocks of the same size. A block was deemed by Elliott and Valenza to test as non-Shakespearean if it had at least two “rejections” on the ten (or nine) mini-tests that were applied. To apply Bayes’s formula we must estimate the probability that Hand D is not Shakespeare’s independently of the results of the test. As Piattelli-Palmarini says, in employing Bayes’s crucial insight, “This is the most delicate and difficult part of the operation” requiring “rigor, but also flair, common sense, an acute intuition, a fair dose of expertise, and a refined imagination.” This may seem a tall order. But in practice we can, if we wish, apply Bayes’s formula to Hand D using a series of different estimates, which between them run the gamut of expert scholarly opinion. Bayes supplies us with a way to perform a kind of meta-analysis that factors together the results of multiple studies—all those preceding Elliott and Valenza’s and their own new one. Although there is, as Piatelli-Palmarini makes clear, a subjective element in the estimation of probabilities based on earlier investigations, allowing for a range of estimates can prevent this subjectivity from dominating the outcome. Let me first outline the case for Shakespeare’s authorship of Hand D’s contribution to Sir Thomas More, beginning with palaeography. The foremost paleographer of the early twentieth-century, E. Maunde Thomson, demonstrated that Hand D bears remarkable points of similarity with Shakespeare’s unquestioned signatures. He concluded that the handwriting was Shakespeare’s, and has been followed by a series of expert paleographers listed by Gary Taylor in Shakespeare: A Textual Companion. Hand D cannot be identified as that of any other Renaissance dramatist whose handwriting has survived, and the suggestion that it belongs to John Webster, whose autograph is not extant, has been convincingly rebutted. And yet Hand D’s addition to Sir Thomas More was obviously composed by a talented professional playwright. 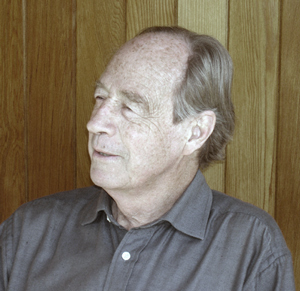 In 1990 Giles E. Dawson refined and elaborated Thomson’s arguments. For his article, “Shakespeare’s Handwriting,” he scrutinized, for comparative purposes, a collection of Elizabethan and Jacobean letters and documents written by 250 writers. He found (a) a form of joined “ha,” featuring the “spurred a” recognized as significant by Thomson, that was indeed exclusive to Hand D and Shakespeare’s signature to the deposition in the Bellott–Mountjoy case of 11 May 1612; (b) a form of “W” (or “w”) exclusive to Hand D and Shakespeare’s signature at the end of his will; and (c) a degree and kind of eccentricity in the formation of “k” that Shakespeare’s signatures shared with Hand D but with none of the 250 other writers. Further (related to item “b”), (d) “The up-strokes on the m and the w of Shakespeare’s sixth signature, also found on m and w in Hand D, have not elsewhere been found on both of these letters.” It seems to me that these links alone combine to constitute a compelling case. The peculiarities noted by Dawson are the only genuine peculiarities within the very restricted amount of authenticated Shakespearean handwriting afforded by his signatures. Every one of them is found in the 147 lines penned by Hand D and none of them is found in Dawson’s comparative sample of early modern manuscripts by 250 different writers. The odds against finding another document that, like Hand D, bears all four Shakespearean oddities must be astronomical. The importance of Dawson’s study has not been sufficiently appreciated. His procedure is the logical one to adopt in order to assess whether Hand D is Shakespeare’s. He began with scrutiny of Shakespeare’s signatures (and the words “By me” which precede that on the last sheet of his will) in search of peculiarities of letter formation, and then determined whether any of them could be found in Hand D’s pages or the 250 early modern documents used as a control. This is sensible, because the signatures provide such a small amount of material with which to work and in several respects differ among themselves. The significance of shared peculiarities can be evaluated, whereas disparities between the signatures and Hand D cannot, since they might be accounted for by the contrasting nature of the materials: Hand D’s pages are the “foul papers” of a play-scene, whereas the signatures are formal appendages to legal documents, and two of them are constrained by the width of parchment rectangles, set each within a waxen seal, on which they are penned. Signatures are, in any case, rather special pieces of writing. Dawson’s 250 comparative documents all contained 200 more words. Hand D’s pages (verse and prose) contain 1200 words of dialogue. Dawson’s documents might be grouped to make at least 42 multi-authored samples of 1200 words. None of these has any one of the Shakespearean peculiarities. So if they are truly representative of the handwriting of Shakespeare’s time, the chances of finding all four peculiarities in a non-Shakespearean 1200-word manuscript are less than one in 42 x 42 x 42 x 42 = 3,111,696, or less than one in three million. This crude calculation, not offered very seriously, takes no account of the fact that the 42 or more “multi-authored samples” would each be penned by several different hands. However, most palaeographers, expressing their opinions before Dawson’s article appeared, have judged that the handwriting evidence, while favouring an ascription of Hand D to Shakespeare falls short of identification “beyond reasonable doubt.” But it does not, of course, stand alone. It is supported by studies of quite other features of Hand D’s pages. J. Dover Wilson showed that unusual spellings and compositorial errors in the Shakespearean “good quartos” could readily be explained if Hand D was Shakespeare’s: the manuscript shared unusual spellings with the quartos, and misreadings in the quartos were of a kind that Hand D’s orthography and letter formation would have provoked and that had in fact been perpetrated by expert transcribers. The advents of the Chadwyck–Healey comprehensive electronic database “Literature Online” furnishes a means of evaluating the significance of Wilson’s data. Another striking link with Shakespeare is the comic mispronunciation of the Latin ergo (“therefore”) as “argo” (in Hand D’s pages and in 2 Henry VI) or “argal” (Hamlet, three times). There is one instance of this characterizing solecism in Thomas Middleton’s The Phoenix (1607), but it has not been found elsewhere. Those detailed above are almost the only very rare spellings exhibited by Hand D, by which I mean that particular words are spelled in exactly the same way five or fewer further times in the whole “Literature Online” database—almost the only ones, that is, apart from a few that are unique to Hand D’s pages themselves; and “exactly” except that “u” and “v,” “i” and “j” are regarded as interchangeable, capitalization is ignored, and abbreviations are treated as identical to their expanded forms. Unique to Hand D are “adicion,” “aucthoryty,” “ffraunc,” “inhumanyty,” “liom,” “obedienc,” “obedyenc,” “offyc,” “parsnyp,” “quallyfy.” “shreef,” “shrevaltry,” “supposytion,” “sylenct,” “thappostle” “ynnovation.” In the case of “shrevaltry,” Hand D’s use of the word itself, in any spelling, is unique in the database. It is the single “d” that makes “adicion” unique: “addicion” occurs, but never in drama; compare “addicions” in King Lear (Quarto 1606) and “A Lover’s Compaint” (Sonnets Quarto, 1609). “Aucthoryty” is unique only because of the first “y”: the first seven letters are standard. The medial or intial “y” is what renders “parsnyp,” “quallyfy,” “supposytion,” and “ynnovation” unique: an Elizabethan or Jacobean compositor would normally have standardized “y” as “i” in such cases. Since the double “f” was used as a form of the capital, the spelling “ffraunc” should perhaps be considered the same as “Fraunc,” which is found only in a medieval romance and in Sir Henry Wotton’s translation of Jacques Yver’s A Welcome of Peace into France (1578). The additional very rare Hand D spellings that do appear in “Literature Online” are “basterdes”: John Studley’s translation of Seneca’s Medea (1581)—“basterd,” which occurs in Shakespeare’s Sonnet 123, is common; “Charterd”: a poem by William Blake; “chidd”: four poems and the undated manuscript drama A Fatal Marriage, or A Second Lucretia; “matie” (3 times for “majesty”): the anonymous A Knack to Know an Honest Man (1596), Mountford’s The Launching of the Mary, which survives in manuscript, and the anonymous manuscript play Thomas of Woodstock—it is not clear from “Literature Online” whether any trace of a tilde indicating abbreviation is missing from the non-Shakespearean examples, as it is from two of the Hand D ones, but the frequent misreading “kismen” for “kinsmen” in Romeo and Juliet (Quarto 1599) suggest that Shakespeare had a propensity for omitting necessary tildes; “prentisses”: Richard Jonson’s The Pleasant Conceits of Old Hobson (1607); “Shreiff”: Thomas Heywood’sThe Captives, also in manuscript, as a speech heading; “thoffendor”: John Heywood’s poem The Spider and the Fly (1556); and “transportacion”: the anonymous manuscript play The Wasp, which probably belongs to about 1630–38. Five of the seven examples of these rare spellings that appear in drama are in manuscript rather than print, as is the non-Shakespearean example of “Iarman” in the manuscript play John of Bordeaux. So if we count “argo” along with the other five rare spelling links to Shakespeare’s plays (“scilens,” “Iarman,” “elamentes,” “a levenpence,” and “deule”), we get six rare Hand D spellings that can be traced in Shakespeare’s plays, all in printed Quartos or the Folio, and eight links involving six spellings (all but two links to manuscripts, not print) to the rest of “English Drama,” which includes virtually all 1,200 or so extant sixteenth- and seventeenth-century dramatic works, and some 5,465 altogether. Moreover, Dover Wilson pointed to evidence from c/t misreadings in Shakespearean texts that the playwright favoured Hand D’s unique spellings in “-c,” where “-ce” is normal. One more Hand D spelling, though failing by one instance to qualify as “very rare,” is worth mentioning: “straing” (for “strange”) occurs in A Lover’s Complaint, three non-Shakespearean poems, and two plays, namely Nathaniel Wood’s The Conflict of Conscience (first performed 1572) and the anonymous Common Conditions (first performed 1576). In Love’s Labour’s Lost (Quarto 1598) “straying” is almost certainly a misprint for “strange,” the compositor having misinterpreted Shakespeare’s “straing,” which several times in “Literature Online texts is a spelling of “straying.” I should add that, in this investigation, spelling links have been counted only when they are spellings of the same word: outside Hand D, the few instances of “liom,” for instance, are Gaelic. Some Hand D spellings that have been thought unusual are not: “pumpion” (for our “pumpkin”) was, for example, standard, along with “pompion,” as OED also makes clear. Another compelling, yet independent, line of argument was pursued by R. W. Chambers, who demonstrated that Hand D’s pages featured idiosyncratic sequences of ideas and images recurrent in Shakespeare’s plays. It is the recurrence of complex combinations of similar elements that indicates identity of authorship. As Chambers insists, “the resemblances of thought and wording are not of the kind which can fairly be accounted for by borrowing.” In its final form Chambers’s masterly essay incorporates some points made by Caroline Spurgeon, and it has since been supplemented by Karl P. Wentersdorf, William H. Matchett, Charles R. Forker, John W. Velz, and E. A. J. Honigmann. More recently, using “Literature Online,” Thomas Merriam has created a list of eight collocations that Hand D shares with Shakespeare but with no other early modern playwright. Most scholars, perhaps all, who have studied this evidence with due care have been persuaded that Hand D’s pages are Shakespeare’s. I say “perhaps all” because it is hard to know how familiar with the evidence are the few dissenters. Since the 1930s, editors have regularly included Hand D’s portion of Sir Thomas More in the Collected Works. Diverse objects of investigation—handwriting, spelling and bibliographical links, the development of ideas and imagery, collocations—all lead to the same conclusion. My own estimate, prior to the Elliott and Valenza testing, would be that the probability of Hand D’s being by Shakespeare is at least 99.9 per cent, so that the probability that it is not by him would be less than 0.1 per cent (or one in a thousand). This I regard as a very conservative estimate that allows for the possibility that, for example, Dawson’s comparative material was unrepresentative or that his examination of it was insufficiently meticulous, and that further examples of such oddities as “argo,” “scilens,” “Iarman,” “elamentes,” “deule,” and “a levenpence” could be traced by more thorough searching. This mode of analysis yields a probability that Hand D is not Shakespeare’s of 0.022 or 2.2 per cent. The probability that it is Shakespeare’s is 0.978 or 97.8 per cent. In other words, the probability that the scene is not Shakespeare’s, once Elliott and Valenza’s testing has been taken into account, is only one in forty-five. The odds remain heavily in favour of Shakespeare’s authorship. A more cautious—in my judgement, unduly cautious—a priori estimate of a 99 per cent probability that Hand D is Shakespeare’s would produce a post-test probability of 0.187, or about one chance in five, that the scene is not by Shakespeare, or odds of four to one that it is by him. An even more cautious prior estimate of 95 per cent would result in a post-test probability of 0.545 that it is not his, so that the chances for and against Shakespeare’s authorship would be more or less equal. A very much more sceptical view of the prior case for Shakespeare, assessing the probability, independent of Eliott and Valenza’s test, of the scene’s having been written by Shakespeare at 0.8 and the probability of its not having been written by him at 0.2 (or one in five), would put the post-test probability of non-Shakespearean authorship at 0.85, so that the odds would be seventeen to three against Shakespeare’s authorship. Much evidently depends on the prior estimate that is decided upon. But I cannot see how any competent scholar could read attentively the articles summarized here—or even just those of Chambers, Dover Wilson, and Dawson—and remain unconvinced that the pre-test probability of Shakespeare’s being the author of Hand D’s pages is very high indeed. In this article I have, up to this point, provisionally accepted that Elliott and Valenza’s method of testing for the Shakespearean authorship of Hand D and Hand D-plus is valid. But one may reasonably have reservations. The tests that Hand D fails are “Grade level” and “BoB5.” Grade level is computed by “Grammatik,” a commercial grammar-checker: from “word length and sentence length” it calculates “the grade level a reader would need in order to comprehend the text.” Elliott was unable to tell me how Grammatik defines a sentence or a word or how it combines the elements counted. Hand D’s grade level is 12, Hand D-plus’s 13. Elliott and Valenza set their Shakespeare limits for grade level in 750-word verse blocks at 3–10, but concede that “one of our 90 play-verse blocks has a grade level higher than the 13th-grade observed for Hand D-plus Verse” and that three have grade level 11. Privately Elliott informs me that the most deviant block has a grade level as high as 15 and comes from Richard II, from which the three blocks with grade level 11 were also drawn. The aberrant block (of 673 words on Elliott and Valenza’s count) covers 5.2.98–5.3.73, with short lines and lines of twelve syllables or more omitted. There are twenty-eight speeches and one and a half lines from another. The average sentence length of the block seems lower than the overall Shakespeare average, but not conspicuously so, since scenes consisting of exchanges in short speeches are apt to have more sentences than scenes consisting largely of long monologues. Hand D-plus (of 832 words), as printed in the Riverside Shakespeare, has only ten speeches, all by More, and (by any definition of a sentence familiar to me) about half as many sentences as the aberrant Richard II block. Neither the Richard II block nor Hand D plus seems to have a number of short or long words atypical of Shakespeare. So how grade level measures degrees of comprehensibility remains mysterious. There is, however, a further point to be made about grade level. It is, in some unknown way, dependent on sentence length. A possible definition of a sentence for computing purposes is “a series of words ending with a full stop or question mark or exclamation mark and followed by a word beginning with a capital letter.” A word may be defined, for the same purposes, as “a graphic unit preceded by a space.” To take account of different conventions in punctuating, an alternative definition of a sentence might include semi-colons, colons, and perhaps dashes as ending sentences. But whatever definition is adopted, editions of Shakespearean texts differ in their punctuation and in the numbers of sentences they create. Elliott and Valenza’s text of Hand-D-plus is taken from the Riverside Shakespeare. The Oxford Complete Works adds six full stops, and one exclamations mark. This is not in itself a decisive objection to the test. As Elliott and Valenza point out, their Shakespeare samples are also taken from the Riverside Shakespeare, so that Hand D-plus has been modernized and punctuated by the same editor. But there is one significant difference between Hand D-plus’s material in Sir Thomas More and every other piece of dramatic writing in the Riverside Shakespeare: the foundation text from which it has been edited is a manuscript, whereas printed quartos or the Folio have served as foundation text for all the complete plays. Moreover, the manuscript is an author’s draft, in which the syntax of several passages is notoriously ambiguous or muddled, not having been reduced to order. So if “Grammatik” is indeed, in some limited way, measuring the verbal and syntactical complexity that makes for degrees of difficulty in comprehending the text, it is no wonder that Hand D-plus’s verse scores exceptionally highly. Its syntax at lines 108–116 was so “confusing” as to have defeated the original book-keeper. The adjective is that of Riverside Shakespeare editor, G. Blakemore Evans, who also remarks on “syntactical difficulty” where a phrase “seems to hang unresolved” at lines 62–7. When in earlier studies Elliott and Valenza tested Hand D along with whole Shakespeare plays, its grade level of 6 fell neatly within the narrow core Shakespeare range of 4–7. The range for Shakespeare’s poems was found to be much higher, namely 10–14. Stripped of its prose, Hand D’s grade level score evidently more than doubled. Certainly the colloquial prose grievances of the populace with which Hand D’s pages open are much more readily intelligible than the learned Thomas More’s verse rhetoric. Generally speaking, poetry is more complex than prose. Until we are given a better understanding of what grade level really is, it seems fair to consider it a dubious test of Hand D’s claim to be Shakespeare’s. “BoB5,” where the letters stand for “bundle of badges,” is a computation based on high-frequency words that are (a) more and (b) less common in Macbeth than in Middleton’s The Witch. Instances of “a” or “badges” (the, is, to, you, he, his, your, we, him, as, and an) are “bundled” into a single total. From this total, instances of “b” or “flukes” (a, sir, I, now, I’ll, ’tis, all, come, her, and she), likewise bundled, are subtracted, and the result is divided by the combined numbers of badges and flukes and then multiplied by 1000. The scores for Hand D (762) and Hand D-plus (765) exceed the upper limit of 712 for the ninety Shakespeare samples. Sir Thomas More’s peculiar textual origins cannot explain this anomaly. The subject-matter of the Hand D-plus verse may, however, do so. Since More is addressing a riotous mob, he naturally has considerable use for the pronouns “you” and “your.” Since (a) there is only one woman among the several men in the scene, (b) there is no occasion to refer to her, and (c) all the verse speeches are More’s, “he” and “his” naturally predominate over “she” and “her.” There is no point at which More, in haranguing the rabble, might have called anybody “sir.” In urging the necessity for “obedience to authority” and appealing to general principles, he has little use for the personal pronoun “I” (whether or not joined to “shall” as “I’ll”). These words seem too sensitive to context to be reliable indicators of authorship. Because high scores are “less Middletonian” than low ones, Elliott and Valenza call them “more-old-fashioned.”But the crucial element governing the scores for whole Shakespeare plays (as reported in the earlier study, “And Then There Were None”) is genre. Of the thirty-four whole-play scores tabulated, all but three of the lowest sixteen are for comedies, the exceptions being the love tragedies Romeo and Juliet and Othello and the history play dominated by Shakespeare’s greatest comic character Falstaff, 1 Henry IV. All but two of the remaining eighteen plays, with higher scores, are tragedies or histories, and the two comedies among them are only fifteenth (Love’s Labour’s Lost) and sixteenth (The Merchant of Venice) highest. All the highest scores (over 400) for whole non-Shakespearean and “apocryphal” plays are also for histories and tragedies. Sir Thomas More is, of course, a chronicle history play ending in the hero’s death. A more general reservation about the Elliott–Valenza testing of Sir Thomas More is that the ninety Shakespearean 750-word blocks were drawn from only seven plays:Richard III, Richard II, Romeo and Juliet, Troilus and Cressida, King Lear, Antony and Cleopatra, and The Tempest. Samples were taken only from these plays because these were the ones for which metrist Marina Tarlinskaja had provided counts of “enclitics” and “proclitics” in “leaning microphrases,” which were the basis for two of Elliott and Valenza’s more efficacious tests. But ninety roughly 750-word blocks from seven plays may not afford sufficient data from which to gauge the full range of Shakespeare’s practices. The total amount of verse text sampled covers only some 67, 500 words (90 x 750), about the combined size of three full plays. The 750-word Shakespearean block with the highest BoB5 score of 712 came from Richard II. As whole plays, Coriolanus and Henry V, at 487 and 466, have higher scores than Richard II’s 423, so they may well have furnished 750-word blocks matching Hand D-plus’s 765. Another broad reservation over Elliott and Valenza’s methodology is less easy to formulate, and may well be unwarranted. They have developed their battery of tests by trial and error over a long period of time, and have been wonderfully resourceful in doing so. But this means that, to a large extent, the process of devising tests from the Shakespearean and non-Shakespearean material has been inseparable from the application of these tests to this material. Can such a procedure afford a legitimate basis from which to calculate statistical probabilities? Perhaps, but we could be more confident, if Elliott and Valenza had divided both Shakespearean and non-Shakespearean material into halves, employing a random process to assign plays, poems, or blocks of text to either of two sets, one from which to generate the Shakespeare profiles or ranges and another on which to check and calibrate these. This is what statisticians Wallace and Mosteller did in their classic study of the authorship of the disputed Federalist essays. Elliott and Valenza’s prodigious labours have done much to illuminate questions of attribution connected with Shakespeare. They have helped abolish A Funeral Elegy from the canon, and their tests have confirmed that 1 Henry VI, Titus Andronicus, Timon of Athens, Pericles, Henry VIII, and The Two Noble Kinsmen are collaborative plays. They have given grounds for doubting that 3 Henry VI is wholly Shakespeare’s. They have reported their results in an unassertive, non-confrontational, and engaging manner. And they have discarded tests and modified their methods in response to criticism. Characteristically, they “don’t claim to have solved forever the question of whether Shakespeare wrote Hand D” of Sir Thomas More. But I am sure their tests, which ostensibly show that he almost certainly did not, deliver the wrong verdict. And I think they are wrong about Edward III too. But that is matter for another article. . .
1. Stanley Wells and Gary Taylor, with John Jowett and William Montgomery, William Shakespeare: A Textual Companion (Oxford: Clarendon Press, 1987), 124, where the main facts about Sir Thomas More are set forth (124–5). Vittorio Gabrieli and Giorgio Melchiori have edited the play for the Revels series (Manchester: Manchester University Press, 1990). For Chettle as Munday’s collaborator, see John Jowett, “Henry Chettle and the Original Text of Sir Thomas More,” in ­Shakespeare and “Sir Thomas More”: Essays on the Play and its Shakespearian Interest, ed. T. H. Howard-Hill (Cambridge: Cambridge University Press, 1989), 131–49. Thomas Merriam has repeatedly argued against Munday’s involvement as author and, sometimes by implication, in favour of Shakespeare’s; see, for example, “Correspondences in More and Hoffman,” Notes and Queries 248 (2003): 410–14, which challenges Jowett’s conclusions; “An Unwarranted Assumption,” Notes and Queries 245 (2000): 438–41; and “Feminine Endings and More,” Notes and Queries 246 (2001): 278–80; “The Misunderstanding of Munday as Author of Sir Thomas More,” Review of English Studies 51 (2000): 540–81. 2. The play was performed successfully by the Royal Shakespeare Company at the Swan Theatre in Stratford-upon-Avon in 2005. 4. Key articles are “And Then There Were None: Winnowing the Shakespeare Claimants,” Computers and the Humanities 30 (1996): 191–245; “The Professor Doth Protest Too Much Methinks: Problems with the Foster ‘Response’,” Computers and the Humanities 32 (1999): 420–90; “Glass Slippers and Seven-League Boots: C-Prompted Doubts About Ascribing A Funeral Elegy and A Lover’s Complaint to Shakespeare,” ­Shakespeare Quarterly 48 (1997): 177–207. 5. Although in the hand of a scribe, designated “C,” More’s soliloquy has been judged (rightly in my view) to be in Shakespeare’s style, and is included, along with Hand D’s pages, in, for example, The Riverside Shakespeare: Second Edition, ed. G. Blakemore Evans (Boston and New York: Houghton Mifflin, 1997), and William Shakespeare: The Complete Works, general eds Stanley Wells and Gary Taylor (Oxford: Clarendon Press, 1988). Elliott and Valenza’s “750-word” blocks, restricted to verse, varied a little in actual length, and excluded verse lines that were not pentameters (with or without double endings). The restriction to verse meant that Hand D’s first page of dialogue was not tested. 7. In setting the Shakespearean limits, Elliott and Valenza established the actual ranges for their blocks from core Shakespeare plays (essentially those Folio plays that are not collaborative) and trimmed “outliers.” Their rule of thumb was that the trimming should not place more than 5 per cent of genuinely Shakespearean material outside the Shakespearean limits. The effect was pretty much the same as trimming plays or blocks of material for which the score on a given test was over two standard deviations from the mean, but since scores did not always conform, even approximately, to a “normal” distribution producing a bell-shaped curve, a slightly more subjective procedure was used. The test for hyphenated compound words gave a score for Hand D of 30 and of Hand D-plus of 24, where the Shakespeare range for 750-word verse blocks was set at 26–236. But the scores of 24, 26, and 30 all represent a single instance, the score for HCW (hyphenated compound words) being calculated in terms of the raw figure, divided by the number of words in the block and multiplied by 20,000. Hand D had fewer than 750 words (namely) 660, and Hand D-plus more (832). So Elliott and Valenza were right to ignore Hand D-plus’s HCW score as “a technical rejection” only. Besides, the test strikes me as an unsatisfactory one, too dependent on editorial policy with respect to hyphenation. 8. The case is made by Gary Taylor, “The Date and Auspices of the Additions to Sir Thomas More,” in Shakespeare and “Sir Thomas More,” 101–29, and confirmed by MacDonald P. Jackson, “The Date and Authorship of Hand D’s Contribution to Sir Thomas More: Evidence from ‘Literature Online’,” Shakespeare Survey 59 (2006): 69–78. 9. I ignore Elliott and Valenza’s probability calculations derived from the five tests selected from the original ten, because, although this kind of post hoc analysis may be a graphic way of explaining what they call “the simple essence of our case” (16), it is, strictly speaking, illegitimate as a means of calculating probabilities. 12. For the purpose of illustrating the application of Bayes’s theorem, it was assumed that “On average, this illness affects 1 percent of the [female] population in the same age group as the patient” and that nothing was known about the patient’s symptoms (81). Of course, were symptoms or knowledge about family history to be taken into account, the pre-test probabilities of the patient’s having the disease would change. Piattelli-Palmerini is simplifying for the sake of illustrating how Bayes’s formula works. Estimating pre-test probabilities for Hand D’s being or not being by Shakespeare more closely resembles the more complex estimating of pre-test probabilites of having an illness that do take account of relevant personal factors. 14. The information that 84 non-Shakespearean blocks were used, kindly provided me by Ward Elliott, is now available in “Oxford by the Numbers,” 441, 445–6. 16. A detailed case was first made in Shakespeare’s Hand in the Play of “Sir Thomas More”: Papers by Alfred W. Pollard, W. W. Greg, E. Maunde Thompson, J. Dover Wilson and R. W. Chambers (Cambridge: Cambridge University Press, 1923). A survey of attitudes to the attribution is given in G. Harold Metz’s “‘Voice and Credyt”: The Scholars and Sir Thomas More,” in Shakespeare and “Sir Thomas More,” 11–56. See also Metz’s Sources of Four Plays Ascribed to Shakespeare (Columbia: University of Missouri Press, 1989), 135-62, and Four Plays Ascribed to Shakespeare: An Annotated Bibliography (New York: Garland, 1982). A good recent summary, stressing the convergence of different kinds of evidence, is by Brian Vickers in Shakespeare Co-Author: A Historical Study of Five Collaborative Plays (Oxford: Oxford University Press, 2002), 35–43. 17. Thompson’s case was made most elaborately in “The Handwriting of the Three Pages Attributed to Shakespeare Compared with his Signatures,” in Shakespeare’s Hand, 57–112. 19. Carol Chillington, “Playwrights at Work: Henslowe’s, not Shakespeare’s, Book of Sir Thomas More,” English Literary Renaissance 10 (1980): 439–79. This is rebutted by Charles R. Forker, “Webster or Shakespeare? Style, Idiom, Vocabulary, and Spelling in the Additions to Sir Thomas More,” in Shakespeare and “Sir Thomas More,” 151–70, and by Taylor, “Date and Auspices,” in the same volume. 20. Giles E. Dawson, “Shakespeare’s Handwriting,” Shakespeare Survey 42 (1990): 119-28. 21. The exact nature of the famous “spurred a” has often been misunderstood “by inexperienced commentators,” according to C. J. Sisson, who stated that “During some forty years of continuous reading of contemporary manuscripts, amounting perhaps to half a million sheets” he had found no instances of the deposition signature’s peculiar form of “ha” outside Hand D; “Postscript” to R. A. Hubler, “On Looking over Shakespeare’s ‘Secretarie’,” in B. A. W. Jackson (ed. ), Stratford Papers on Shakespeare (Toronto: W. J. Gage, 1961), 70–77, at 74. Hubler’s article is on pages 52–70. 23. J. Dover Wilson, “Bibliographical Links between the Three Pages and the Good Quartos,” in Shakespeare’s Hand, 113–41. 24. The website, available to subscribing institutions, is http://lion.chadwyck.co.uk. 25. “Literature Online” reveals instances of “scilens” in a poem by John Lydgate (1370–1449 ), Say the Best and Never Repent, and in an anonymous fourteenth-century poem, The Reply of Friar Daw Topias, with Jack Upland’s Rejoinder. In Shakepeare Co-Author, Brian Vickers notes (42) that A. C. Partridge, Orthography in Shakespeare and Elizabethan Drama (London: Arnold, 1964), 62, pointed to instances of “scylens” in Rastell’s 1533 edition of John Heywood’s The Pardoner and the Frere and “scilence” in the manuscript playThomas of Woodstock, but the latter lacks the crucial “-ns” ending and even the former is not identical to “scilens.” Similarly Metz (“Scholars,” in Shakespeare and Sir ThomasMore,” 21, and Sources of Four Plays, 155) claims that “scilens” can be found in Thomas Middleton’s The Puritan (1607) and John Mason’s The Turk (1610), citing F. P. Wilson,Shakespeare and the New Bibliography, ed. Helen Gardner (Oxford: Oxford University Press, 1970), 111, n. 1. But the spelling does not appear in either of those works. Examples of “scilence” (without the “-ns” ending) are not uncommon, and John Heywood has “silens” in his The Four Ps (of about 1522), which is closer to Hand D’s “scilens” than the Heywood example noted by Partridge. But the exact spelling “scilens” has been discovered only in Hand D and 2 Henry IV among works later than the early fifteenth century. 27. Three examples of the spelling in Thomas Deloney’s Thomas of Reading (1612) are of a proper name. Shakespeare’s Folio-only play Cymbeline, apparently set from a scribal transcript, has one instance of “Iarmen,” where the singular is intended: in fact “a Iarmen on” contains another Hand D spelling, “on” for “one,” which is not, however, uncommon among dramatists. 28. MacD. P. Jackson, “A Non-Shakespearian Parallel to the Comic Mispronunciation of ‘Ergo’ in Hand D of Sir Thomas More,” Notes and Queries 216 (1971): 139. 29. Paul Ramsey, “Shakespeare and Sir Thomas More Revisited: or, A Mounty on the Trail,” Papers of the Bibliographical Society of America 70 (1976): 333–46, at 339. It should be added that Dover Wilson’s evidence extends far beyond these pieces that can readily be assessed by appeal to “Literature Online,” and in “Shakespeare’s Handwriting” Dawson added to Wilson’s argument from misreadings and spellings. 30. Chambers contributed to Shakespeare’s Hand, but his essay achieved its most persuasive form as “Shakespeare and the Play of More” in his own book Man’s Unconquerable Mind (London: Cape, 1939), 204–49. 32. Caroline F. E. Spurgeon, “The Imagery in the Sir Thomas More Fragment,” Review of English Studies 6 (1930): 257–70; Karl P. Wentersdorf, “Linkages of Thought and Imagery in Shakespeare and More,” Modern Language Quarterly 34 (1973): 384–305; William H. Matchett, “Shylock, Iago, and Sir Thomas More; with Some Further Discussion of Shakespeare’s Imagination,” PMLA 92 (1977): 217–30, Charles R. Forker, “Webster or Shakespeare?” (see n. 13 above); John W. Velz, “Sir Thomas More and the Shakespeare Canon: Two Approaches,” in Shakespeare and “Sir Thomas More,” 171–95; E. A. J. Honigmann, “Shakespeare, Sir Thomas More and Asylum Seekers,” Shakespeare Survey 57 (2004): 225–35; Honigmann also further supplements Dover Wilson’s case. 33. Thomas Merriam, “Some Further Evidence for Shakespeare’s Authorship of Hand D in Sir Thomas More,” Notes and Queries 250 (2006): 65–8. I am grateful to Dr Merriam for sending me a pre-publication copy of this. In “The Date and Authorship of Hand D’s Contribution to Sir Thomas More: Evidence from ‘Literature Online’”, Shakespeare Survey 59 (2006), 69–78, I offer evidence that, I believe, greatly increases the probability that Hand D is Shakespeare—at least a hundredfold, I should estimate. But I have not taken it into account in the Bayesian analysis undertaken here. 34. One skeptic to have written thoughtfully and at some length is Michael L. Hays, “Shakespeare’s Hand in Sir Thomas More: Some Aspects of the Paleographic Argument,”Shakespeare Studies 8 (1975): 241-53, but this was published long before Dawson’s expert analysis, as was Ramsey’s “Shakespeare and Sir Thomas More Revisited,” which pronounced against the attribution to Shakespeare. Both Hays and Ramsey mention police expert Hubler’s verdict in 1961 that the handwriting evidence “is not sufficiently strong to justify a positive identification of the poet” (“On Looking Over,” 70). Ramsey again reaches a negative conclusion in his more recent “The Literary Evidence for Shakespeare as Hand D in the Manuscript Play Sir Thomas More: A Re-re-consideration,” The Upstart Crow 11 (1991): 131–55, but, as the title indicates, this concentrates on only one aspect of the case, ignoring Dawson’s argument. The same objection applies to Arthur F. Kinney’s “Text, Context, and Authorship of The Booke of Sir Thomas Moore” in Pilgrimage for Love: Essays in Early Modern Literature in Honor of Josephine A. Roberts, ed. Sigrid King (Tempe, Arizona: Arizona Center for Medieval and Renaissance Studies, 1999; Medieval and Renaissance Texts and Studies, 213), 133–60. Kinney (135) quotes an early skeptic, L. L. Schücking, “Shakespeare and Sir Thomas More,” Review of English Studies 1 (1925): 40–59, as protesting that the capital “B” of “By me” in Shakespeare’s will “is so thoroughly unlike the capital B’s in the manuscript, that one is at a loss to understand how they should be written by the same hand.” In fact instances of capital “B” in Hand D’s pages are very like the “B” in the will, once allowance is made for a certain patchiness and lack of fluency in Shakespeare’s final signature. In seeking to counter Chambers’s arguments, Kinney greatly simplifies them. Paul Werstine ignores Dawson’s article in his deeply skeptical “Shakespeare, More or Less: A. W. Pollard and Twentieth-Century Shakespeare Editing,” Florilegium 16 (1999): 125–45. 35. I might add that in the Royal Shakespeare Company’s 2005 production of Sir Thomas More the sudden surge of poetic and dramatic power as the performance reached the “Shakespearean” scenes was obvious. 36. Elliott and Valenza, “Glass Slippers,” 202. 37. Elliott and Valenza, “Two Tough Nuts,” 20. 38. Again, the data, not in “Two Tough Nuts,” were supplied me by Ward Elliott. 39. Elliott and Valenza, “And Then There Were None,” Appendix One (A), 220; repeated in “The Professor Doth Protest,” 461. 40. Elliott and Valenza, “And Then There Were None,” 196; “The Professor Doth Protest,” 432; and especially “Two Tough Nuts,” 41, n. 49. 41. Elliott and Valenza, “Two Tough Nuts,” 20. 42. See “And Then There Were None,” Appendices One (S), and One (C), and One (A), 216–21. 43. “Oxford by the Numbers,” 443–4. 44. The 84 non-Shakespearean samples also draw on few plays: 56 are from Marlowe’s 2 Tamburlaine, Greene’s James IV, Daniel’s Cleopatra, Peele’s David and Bethsabe, Munday’s John a Kent and John a Cumber, Jonson’s Sejanus, and Fletcher’s The Woman’s Prize; and 28 are from non-dramatic verse blocks by fourteen different poets. None of the 90 Shakespearean blocks are from his poems. 45. Frederick Mosteller and David L. Wallace, Inference and Disputed Authorship: The Federalist (Reading, Mass. : Addison-Wesley, 1964); 2nd edn. as Applied Bayesian and Classical Inference: The Case of the “Federalist” Papers (New York: Springer-Verlag, 1984). There is a judicious assessment of the Elliott–Valenza tests by Gray Scott, “Signifying Nothing? A Secondary Analysis of the Claremont Authorship Debates,” Early Modern Literary Studies 12.2 (September, 2006) 6.1–50 <URL: http://purl.oclc.org/emls/12-2/scotsig2.htm>. But Scott does not consider the Clinic’s handling, in their most recent work, of 1500-word and 3000-word samples. 46. Elliott and Valenza, “Two Tough Nuts,” 34. Jackson, MacDonald P. "Is “ Hand D” of Sir Thomas More Shakespeare’s? Thomas Bayes and the Elliott–Valenza Authorship Tests." illustrating trends in Will's work and comparing them to trends in overall theatre development.